Will we see Warriors-Cavs V? How many games will LeBron James play all 48 minutes? The Crossover's team of writers answer important NBA Finals questions and make series picks. 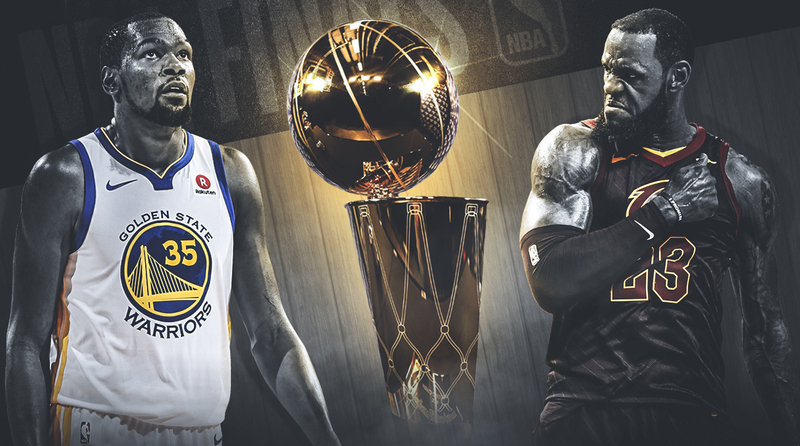 The event we've been waiting for all season—Warriors-Cavaliers IV—is finally here. While the outcome of this series almost feels like a foregone conclusion, there are still big questions lingering. With some of the sting taken out of this year's matchup, The Crossover staff banded together to make series predictions along with their official Finals picks. Some of the topics discussed by our experts: Which lineup should the Cavs close with? Who will lead the Warriors in scoring? And which two players are most likely to fight? Let's get to the picks. Who will be the second most important Cavalier? Who will lead the Warriors in scoring? How many games will LeBron play all 48 minutes? LeBron James has led the NBA in playoff minutes in five of the last seven postseasons, and he’s on track to make it six of eight thanks to his league-leading 743 minutes in these playoffs. 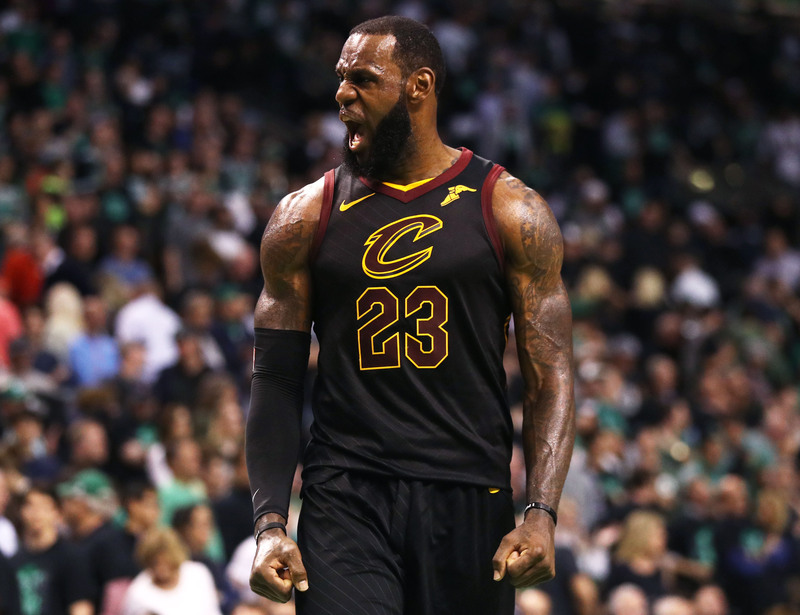 Even so, history and common sense both strongly suggest that LeBron James will come close but not duplicate his incredible performance of playing the full 48 minutes in Game 7 of the East finals. For starters, James has never played an entire Finals game, topping out by playing 50 out of 53 minutes in overtime games in 2013 and 2015. He’s also twice logged 47 minutes in regulation games, both against Golden State in 2015 and 2016. Generally speaking, James's teams have concluded that short breathers are better than no breathers. Remember that, at age 33, James will likely be older than any of his opponents for large chunks of this series. For comparison’s sake, James Harden, a 28-year-old likely MVP, topped out at 43 minutes during the grueling Western Conference finals. And Harden still showed signs of late-game fatigue, especially as that series wore on. It's also worth pointing out that blowouts have been quite common in previous Finals match-ups between the Cavaliers and Warriors. In fact, 11 of the 18 games during the last three Finals were decided by double-digits, granting James rest opportunities during garbage time. Which lineup should the Cavs close with? Which players are most likely to get into a fight? Will the Cavs wear suits to at least one game? Who is the primary LeBron defender if Iguodala is hurt? Should Andre Iguodala continue to watch his teammates in street clothes, sidelined by an ailing left knee, Golden State becomes far less menacing than the ridiculous 8/1 favorite Vegas lists the team as. Don't get me wrong, any team with Kevin Durant, Steph Curry, Draymond Green and Klay Thompson should be a massive front runner. 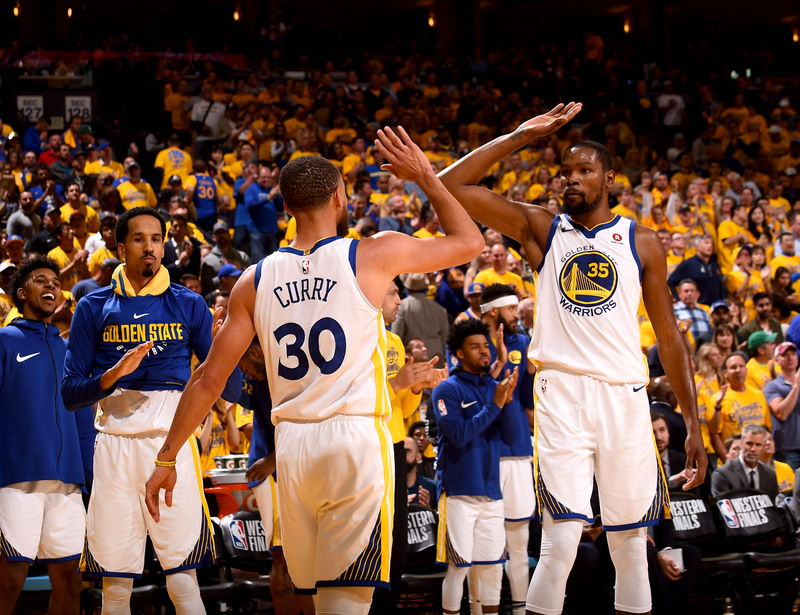 But a major key to Golden State's Finals dominance a year ago came down to Iguodala guarding LeBron, sparing Durant for offense while James was forced to man one of the Warriors' primary scorers—besides the hapless stretches where Richard Jefferson attempted to slow KD. Will we see Warriors-Cavs V next season? We won't. There are just too many reasons to bet on the field. What if LeBron leaves Cleveland, killing any hope of the Cavs' return? What if he winds up in Houston, standing in the way of a Warriors threepeat? It took three Game 7s between the Warriors and Cavs to get to this point. What if they make even a few more mistakes next time around, when teams like the Rockets, Celtics, and Sixers promise to come back even stronger? Lee Jenkins: Warriors in 5. There is a strong case to be made for a sweep, but the Warriors’ apathy, Andre Iguodala’s injury and LeBron James’s brilliance should allow the Cavaliers to salvage one game. To compete, the Cavs role players (i.e., everybody but James) must defend the way they have in the playoffs while shooting the way they did in the regular season. Cleveland shot 37.2% from three in the regular season but only 33.9 in the playoffs, struggling outside of the Toronto series. Improved accuracy would help, but as James Harden just demonstrated, one star is not enough to vault the Warriors’ four. Ben Golliver: Warriors in 5. Houston proved that Golden State isn’t invincible, but Cleveland’s mish-mashed roster doesn’t appear up to the test. Too many new faces, too many inconsistent performers, and too many defensive liabilities. If the Warriors play to their capabilities, they have a chance to sweep the Cavaliers even without Andre Iguodala. In the more likely event that their attention to detail wanes, LeBron James should be able to make them pay at least once. Anything past that would reflect poorly on the Warriors’ significant talent, chemistry and experience advantages. Rob Mahoney: Warriors in 4. To say that the Cavs don’t have the horses to win this series doesn’t tell they half of it. Cleveland doesn’t have the reins, the hay, or the stable. They have LeBron, and the Warriors happen to be the rare opponent for which that is not enough. Expect this series to come as a relief to Golden State after a demanding conference finals. Houston had the personnel and the basketball acuity to stifle the defending champs. Cleveland cannot claim the benefit of either, as evidenced by its erratic play and lacking rotation throughout these playoffs. Stephen Curry and Kevin Durant will breathe easier. Andrew Sharp: Warriors in 6. The safe play is Warriors in 5, mainly because that's a nice way to acknowledge that LeBron is the most dominant player on the planet while also noting that none of this will be very close. The bold play, the one I came really close to making here, is Warriors in 4. Golden State's stars just spent two weeks dealing with an exhausting Rockets defense, and life against the Cavs defense should allow the whole offense to breathe again. That could get scary. What's more, Cleveland has fewer weapons than ever to keep pace—LeBron could average 50 in this series and it probably wouldn't be enough. So a sweep is definitely in play. But I have a weird feeling that it'll be closer, at least for a little while. Golden State has been sloppy and sluggish all year long, and Iguodala is still hurt. LeBron is in Jordan mode right now. The Warriors have been consistently perplexing everyone who watches them, while LeBron and the Cavs have been cheating death for weeks. Does any of that mean Cleveland can actually pull this off? No. Probably not. But we may get a few days to dream. Chris Ballard: Warriors in 5. Not a lot of suspense here, as exemplified by a sampling of conversations with other writers from Wednesday, the first day of Finals media availability: Would the Warriors beat the best five players from the Eastern playoffs (say, LeBron, Giannis, Oladipo, Horford, and Lowry)? If LeBron were to go down with a series-ending injury in Game 1, should the NBA just call off the Finals (or should the league be allowed to call in the Celtics, like an understudy in theater)? And: Can LeBron will the Cavs to one win? On that last front, my vote is for yes—let’s say Game 4, in Cleveland. But, unless the Warriors implode, incur a series of injuries, or something else bizarre happens, that’ll be it. While the series may lack competitive drama, it will still offer plenty to appreciate. After all, we are watching the greatest player of all-time going against what may be the best team in history. Things could be worse. Rohan Nadkarni: Warriors in 5. It would not be surprising if this series were a sweep but LeBron deserves the respect of losing in five. This is just such a bad matchup for the Cavaliers. A team with a defense as bad as Cleveland’s has never even sniffed the Finals before, and that same defense will have to stop one of the best offenses ever created. Golden State also received a little bit of a wake-up call in the conference finals, and I don’t imagine the Dubs will play as carelessly with a championship on the line. The Cavs are a markedly worse team than they were in last year’s Finals, which they also lost in five. The Andre Iguodala injury makes things slightly more interesting, but it would defy all logic for this to be a close series. Jeremy Woo: Warriors in 5. Although I really don’t feel like picking the team that doesn’t have LeBron this year, the most rational case for Cleveland is an inherently irrational one: that perhaps the most talented player of all-time, coupled with the right strokes of luck, will create a narrow window of opportunity for a less-talented team to defeat the most dominant franchise of the last decade of NBA basketball. I’ll hedge that the Cavs don’t have enough in the tank to get it done, and that the Warriors already absorbed their most difficult punch of the playoffs from the Rockets, who were closer to winning that series than history will probably realize. Golden State is too much, and they’ll be locked in from the get-go. Jake Fischer: Warriors in 5. I'll take Golden State in 5, just like I (correctly) predicted a season ago. This is obviously an objectively worse Cavaliers team, with a supporting cast around LeBron James that would appear prone to a sweep at the hands of the almighty juggernaut Warriors that postseason allegory has created. But the Western Conference finals certainly leant credence to this Golden State iteration being a little more storyboard than material. That's a credit to the Houston Rockets, who of course dealt the Warriors more losses in a single playoff series since the 2016 Finals. But it's also a credit to the Warriors' collective mindset that seems to wane a little lackadaisical at times, enough for James to power Cavs to a victory at home, in what may prove to be his final game in a Cleveland uniform.